With the traditional clock card system now having been superseded by the ID card, our system provides one badge that can be used for all swipe transactions from vending, access control, work booking and so on. Included as a standard module within time and attendance, our deluxe badge design is an ID design tool that allows you to create your own professional looking badges. Your bespoke design can be modelled to incorporate employee photograph, company logo, free text and if necessary barcodes. This one card can be then be used for time and attendance, access control, ID security badge or even for cashless vending. The badges are credit card size, so they fit comfortably in a wallet or purse, and they can also be worn clipped to the person. We provide you with the all the software, hardware, blank cards, and accessories that you'll need thereby offering a complete solution to your company's requirements. Print high-quality monochrome and full-colour single, or double sided ID cards with the range of card printers we provide. 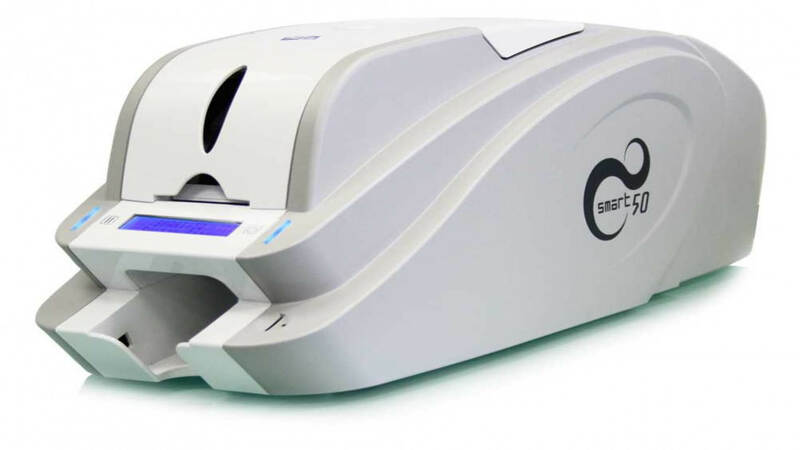 Our card printers promise real value for money with excellent performance, reliability and ease of use. The printers boast a simple set-up, with plug and play, via USB or an optional Ethernet module, which will allow you to add the device to the network. Our latest additions provide a unique UV print solution, as featured on UK driving license and VISA debit/credit cards - which means highly secure cards can be printed. Produce effective and professional security cards in second, with a super-fast full colour print time of under 30 seconds. All card printers come with a 12 month warranty for complete peace of mind and additional hot swap cover can be purchased to ensure you are never without a printer, in the rare event of a problem. As an alternative to an ID badge, we can also offer biometric technology; use of a person's fingerprint, hand scan or even iris scan all can be configured in conjunction with a four digit PIN code in order to ensure correct identification. Our badge design software is easy to use but should you wish to outsource the design and printing of your company badges feel free to talk to our sales team, they'll be happy to discuss your requirements in more detail.